♥ Ugh, how dreamy is that room pictured up above (spotted here)? 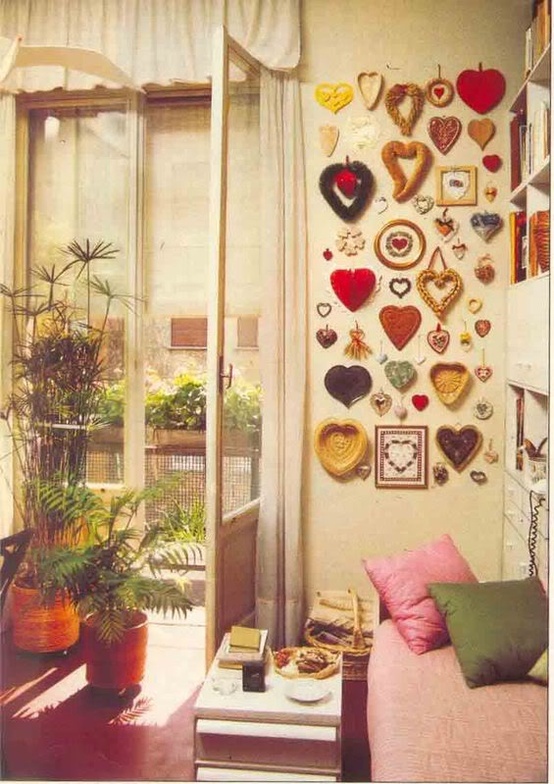 I’m totally having a heart wall in my next house. ♥ If you’ve resolved (like me!) to be less distracted by checking your phone in 2013, you might also find this seven-step article extremely helpful. I sure did. ♥ Best thing I’ve seen all week: A photo tour of the world’s grandmas sharing their home-cooked meals via The Kitchn. ♥ Two helpful cleaning how-tos for thrifters: Tips for cleaning white- and cream-colored leather and cleaning old flasks. ♥ Did y’all cook a lot over the holidays? 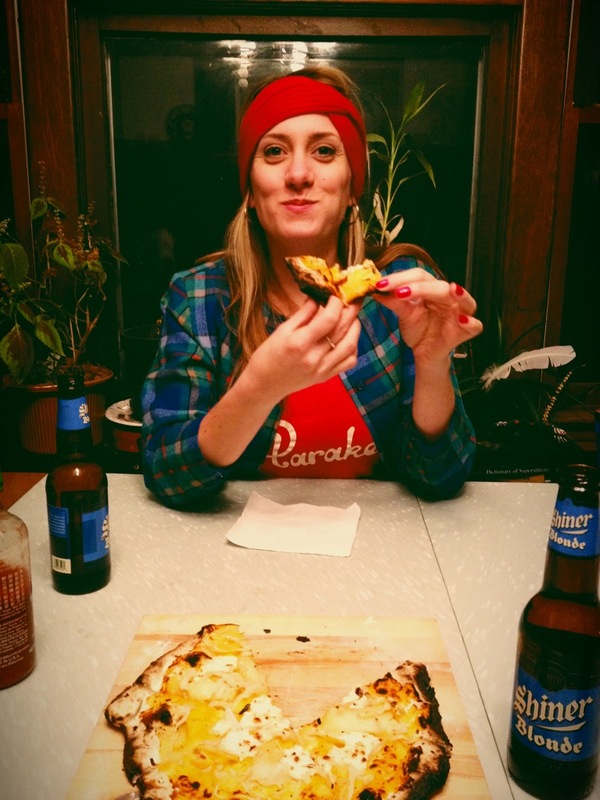 Here are a handful of recipes I pinned, made and loved: Muffin Tin Tacos, Pomegranate Margaritas, Banana Bread French Toast, Slow Cooker Scalloped Potatoes, Oatmeal-Chocolate-Banana Bites. ♥ Speaking of the holiday, I treated myself to an Arcona enzyme facial with Savita at Spot Spa over the break, and oh my goodness, my skin hasn’t been so glowy in I don’t know how long. If your complexion is in the market for a nice little pick-me-up, I’d definitely recommend this treatment! ♥ In other exciting beauty news, especially if you’re a for ’90s babies like me, Herbal Essences is bringing back their old bottles and scents, updating them to be sulfate- and silicone-free. Oh yeah! 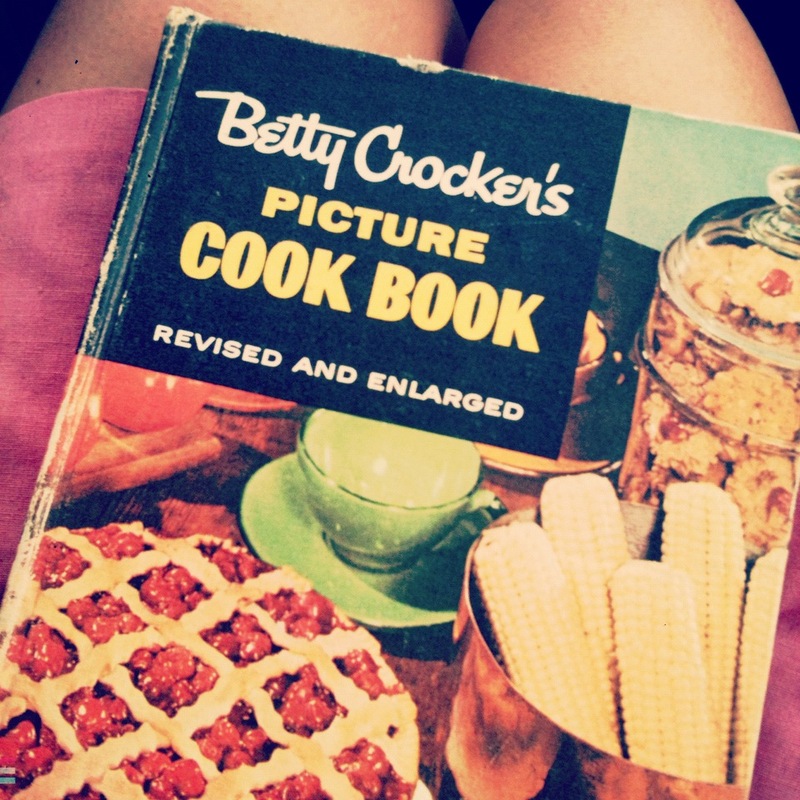 ♥ In the super duper exciting life news department, my very first Vintage Betty post went live over on BettyCrocker.com this week. In it, I shared an easy classic Betty brunch recipe that’s been a family favorite of mine for ages. If you have a minute, please do go check it out! ♥ Have you guys heard about For the Makers yet? It’s this slick service that delivers materials for four DIYs for the super reasonable price of $29 AND provides online tutorials showing you what you can make with your batch of supplies. Definitely a fab gift idea to squirrel away, I’d say. ♥ As you all can probably guess, I don’t know squat about fine art. I do know, however, that this installation, made of 50,000 colored plastic balls, is pretty darn awesome to look at. ♥ This video may be a few weeks old, but it’s powerful and worth a watch. I saw it this week in a work presentation and teared up in two seconds flat. ♥ On a (much, much) lighter note, I added this Honeycrisp & Bourbon Spiked Cider to my list of Thanksgiving must-makes today. (How cute are those lil stars?) How are your menus coming along? ♥ If I knew how to work a drill, I’d totally put these shelves with built-in planters up in my bedroom. So brilliant! I hope you all have had wonderful weeks…it’s been a busy one for me, but I’m looking forward to a relaxing weekend that’s 100-percent free of work. Fingers crossed I can make it happen! ♥ I can’t stop myself from re-pinning goodies from Quincy West lately. Take the image above of Priscilla Presley for instance..what a fox. ♥ Amen to all of this, right? ♥ Many thanks to Maegen for connecting me to La Perla lingerie’s stunning spring/summer campaign. From the beehive hairdos to the impeccable makeup, it’s all so, so pretty. ♥ Are y’all following Industry of One yet? They sure do find some inspiring people to profile, and the photos accompanying each Q & A are stunning enough to stand alone. ♥ I don’t know about you, but I found this video featuring Betty Glasgow, hairdresser for the movie “A Hard Day’s Night,” totally interesting. ♥ If I had a limitless checking account, I would snap up every single one of these Fela-inspired purses. For real. ♥ Really digging the looks of this iPhone app that lets users feel what the weather’s like by using warm and cool colors, instead of hour-by-hour projections. ♥ I really enjoyed this slideshow of retro hairstyles and their accompanying how-tos. Very useful stuff. 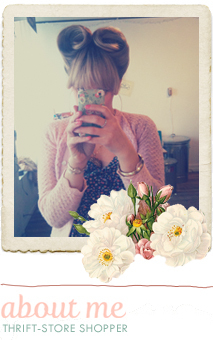 ♥ Speaking of hair, how pretty is this half-up, half-down, half rolled style that Alli from The Vintage Valley rocked. I’m lovin’ it. ♥ And lastly, in food news, here are three recipes I’ve tried and loved this week: Mexican black bean burgers, strawberries ‘n’ cream pie pops and spaghetti in garlic gravy with cherry tomatoes, chicken & herbs. I’ve really been enjoying cooking at home since I got back from my trip! I hope your week’s are shaping up all right so far. It’s another busy one for me, with Mighty Swell’s rummage/bake sale around the corner, but I’m hanging in. Some weeks that’s all you can do! ♥ This plinko game creates poetry out of tweets from Fox News and the New York Times. Cool! ♥ Loving both of these summery cut-off makeovers. Since I live in dresses and cut-offs all summer long, jazzing up my shorts is probably a good idea. ♥ The vintage bathing beauty pics Cali Vintage dug up are so sweet. ♥ A toaster bag that turns out perfectly grilled cheese sammies? I need it! ♥ How did I not know about Retro Lush? Long may you live, Potion Lotion! ♥ I’ve been on a major chicken kick lately. Last week this super easy crispy cheddar chicken was a hit with my sweetie. This week, I’m living off to Iowa Girl Eats‘ mayo-less chicken salad. Bird’s the word this month, I guess! ♥ Anyone who’s suffered from a broken heart due to a vintage dress with a tiny waist will laugh at this. ♥ How completely charming are these pre-fab backyard office spaces?